Their new manager has started very well, don't be fooled, this will be a tough game. 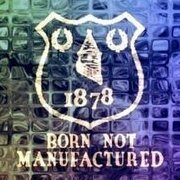 No doubt but they have little quality player wise. We can and should beat them. Doesn't matter about player quality, a little belief and confidence can be huge in this league. Hasenhuttl is a great name though. Came here to post that lineup. Why would you drop Gomes? He was class at the weekend. Personally I would start the same 11 with the only possible change being Coleman/Kenny. I'd agree with your selection but while Gomes was good he could easily have cost us two points by conceding a needless penalty (which he would've done had the ref seen it) and being very fortunate to avoid a red. Wouldn't drop him because he's too good for that but needs to take the risk out of his game. I’m a big fan of his but he was completely off his game at the weekend and should’ve been sent off. He had moments of class but wasn’t even in the top 5-6 for MOTM consideration. Plus, if I’m going to play one DCM then Ganas defensive attributes come first. Yeh I agree he was a bit petulant but none of the challenges were actually that bad. He was booked for nothing, and there wasnt much in the grab but on another day it could have been a penalty and a sending off so I understand your point. I thought he was massive for us at the weekend. He was the one that eventually got hold of the game after that half hour and set us forward. Anyone else and we would have probably lost the game. I dont disagree with the reasoning behind the last bit . I’d be tempted to play Bernie in place of Gilfi, Charly on the left and DCL up top. I've not seen anything of them under the new manager. Does anyone know if they are any good now? Results are so so. Yes he has completely turned their season around and now they look organised and dangerous going forward, we are going to have one tough game against them and if we can't get the midfield working in unison then there's a real possibility we will lose this one. yeah i like yours better, i think FA cup they do a replay right? Can’t remember from which round that stops though. so if it's tied it goes to extras or more replays? No more than one replay anymore. Lost on Pens, well played Derby!! Good news for us, I just hope they don't look to make amends against us! Glad I'm not the only hard-hearted one on here!! This for me. I’ve always had a soft spot for Southampton but I’ll take this if it helps us. not interested in saints as long as we beat them properly, I want to settle back and enjoy the football again. I can not remember the last time I did that. Did you miss the Burnley match? I thought that was pretty enjoyable. no but I didn't enjoy it until it was over with. I want to relax into a game ( like getting into a hot bath.) I want to enjoy a match from start to finish for once. as I said a few minutes ago I want to enjoy football again. Fighting to keep that image out of my brain. We opened the scoring in the first 2 minutes, doubled the lead within the first 15 minutes and were 3-0 up before 25 minutes were gone. If you can’t relax into that game then you never will. Have a few beers mate that usually helps. Said it before but back in those days I was totally relaxed if we conceded first, just thought, "OK you'll pay for that" and more often than no "they" did. Yeah they're fragile after that defeat and have quite a few players missing. Expecting a win. As I dropped him from my fantasy team because they had him down in red (meaning injured definitely won't play) he's a shoe-in for a hat-trick . I'll be happy with 1-0 to us DCL. I would be happy with that line up. I think Bernard could be a real influence on the game from the middle. Yeah that goes for me too, always said Bernard would be better inside, plus siggy needs a rest cos hes looked a bit sluggish lately. 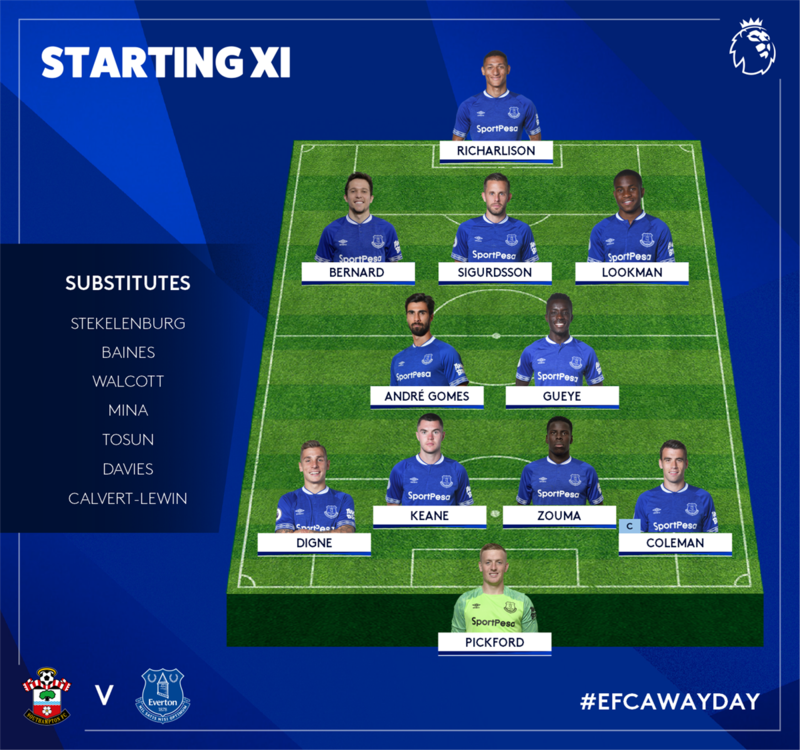 Glad to see Lookman getting another start. Thinking the same. We can’t take another 30 minutes to get it together. We could be chasing the game by then. Come out with intent. Hm. I don't like this line-up much. Only thing I like is Bernard and Lookman playing in those positions. DCL should definitely be in and really... Baines deserves to play after his excellent play against Lincoln. Granted, it was not against a Premier League team, but still. Gana and Gomes. Well, if Gana hold his position and doesn't run all over the bloody place playing too many pointless passings then I'm sure Gomes might get a good game. Tough one to call because stability is not something the team possesses at this point. And Richarlison... stay on your damn feet, man. Well. Hopefully it will be a good game to watch and 3 points to us. They have started lively. Need to see these first 20 minutes out when they settled down.